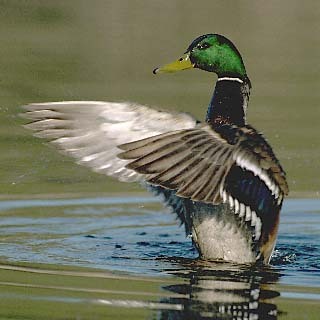 The basics of the forty to forty-five yard duck load haven't changed significantly in a hundred years. A standard has been 1-1/4 oz. of #5 lead with pattern performance approximating 77% (Improved Modified) at 40 yards. Here's a look at the details. Energy delivery, average number of hits, and pattern percentage have all been changed in the chart directly above to reflect approximated 45 yard values. The 77% 40 yard pattern percentage load is now an estimated 62.6 % pattern percentage load at 45 yards. 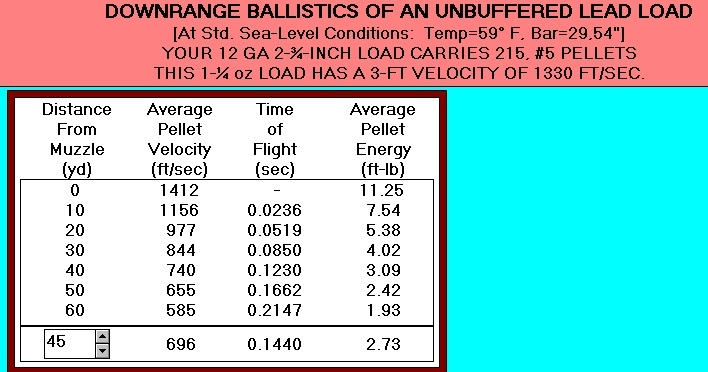 Above, you can see the approximate external ballistics of Kent Tungsten-Matrix #4 or Nice Shot #4 shells for comparison, assuming the same nominal three foot launch velocity of 1330 fps. Whether Nice Shot or Kent TM, a #4 pellet exceeds the retained energy, velocity, and penetration of the standard lead #5 load at all ranges. As a caveat, note the significant change from just 40 to 45 yards. The 77% pattern is now about a 63% pattern. Though you'll often hear that any number of gimmick or "magnum" shells can extend your range by 10 or 15 yards, those types of claims do not pass any type of scrutiny. Five yards may change things significantly, if not dramatically. We began here with a 215 pellet lead load, equating to roughly 165 pellets at 40 yards, shrinking to about 135 pellets 5 yards downrange at 45 yards. If we want the same pellet count at 45 yards, everything else identical, we need to up our payload to 1-1/2 oz. That means 258 pellets, roughly 161 at 45 yards with 1-1/2 oz. vs. the 165 pellets we had with an 1-1/4 oz. 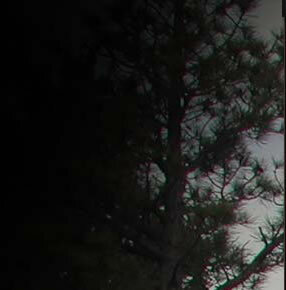 payload at 40 yards. Phrased more directly, an extra 1/4 oz. 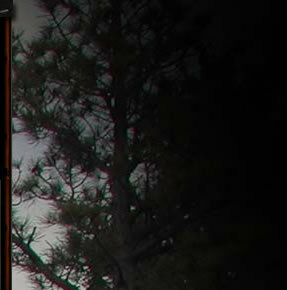 in payload gives us slightly less than five yards extra range while maintaining the same pellet count on target. 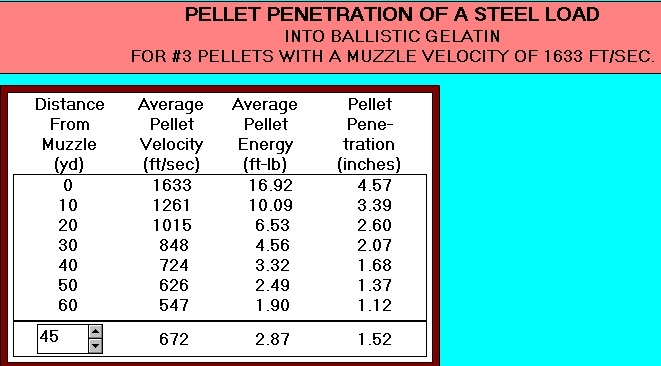 It is even worse for steel, with 3-1/2 inch "super magnum" steel shells offering perhaps two to three yards extra range compared to their three inch counterparts. They are magnum in name only, except perhaps in price. Above is the representative exterior ballistics for a #3 steel, 3-1/2 in. 12 gauge 1-3/8 oz. 1500 fps 3 ft. velocity load. The only thing we can hope to find from this load is excessive recoil. The load has about 210 pellets, actually a bit less than our 1-1/4 oz. #5 lead load. 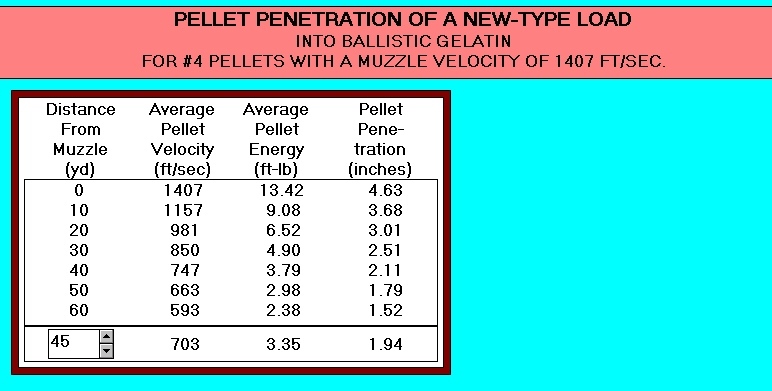 Despite increasing the pellet size two full notches and increasing the velocity, the penetration is comparatively dismal. Our slow #5 lead load penetrates better at 45 yards than our Roman Candle #3 steel super-mag load can manage at 37 yards. Slower Kent TM or Nice Shot #4 loads can do at 50 yards what fast, larger steel loads cannot manage at 37 yards. 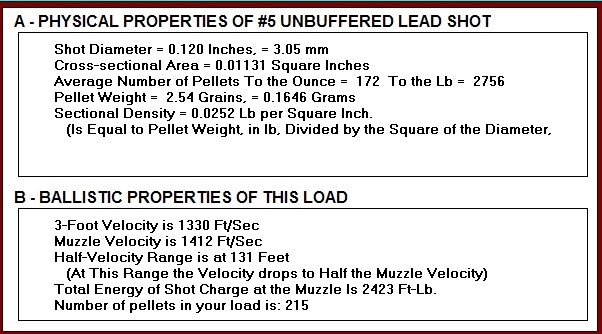 Rudimentary exterior ballistics quickly show how dramatically inferior "steel" (more correctly, low carbon soft iron) loads are to conventional lead and similar density shot materials. In the search for our 45 yard mallard load, super magnum steel fails quickly, past 37 yards or so. It invariably takes the requisite time at the pattern board with an individual gun to determine what choke will give you your maximum effective spread at 45 yards. For a Vinci or Super Vinci, a Trulock Precision Hunter Extended choke #PHCRP12695 "Full" is a good starting point. The .695 in. exit diameter of the choke nets you about a .029 in. constriction in my test guns, your exact bore diameter may different so you can adjust the choke as required. An Improved Modified (.700 in.) or an Extra Full (.685 in.) Trulock Precision Hunter Extended choke may be more to your liking, based on your individual gun and the individual shell you choose. 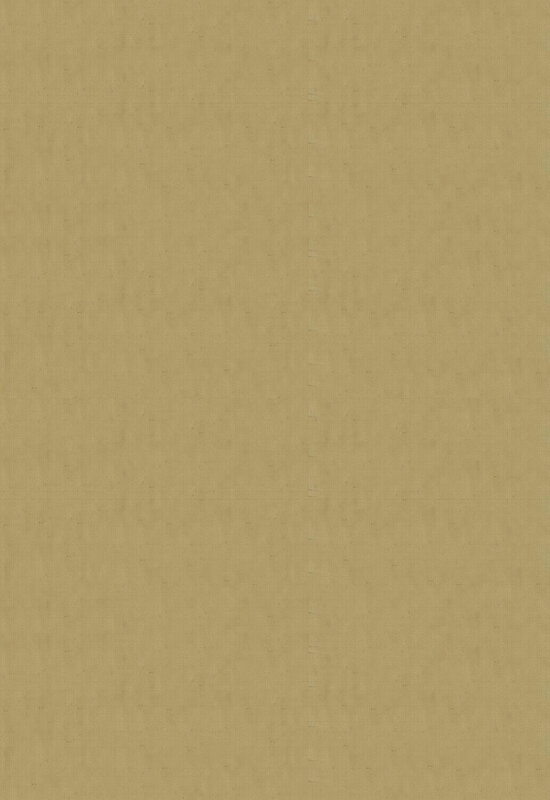 Only your pattern board can reveal that for you with a specific combination.